In just a few weeks, northern Nevadans will come together for a first-of-its-kind event that merges humanity and diversity. The “What Can I Do? Diversity” event happens Saturday, May 13 from 11 a.m. to 2 p.m. at the Northern Nevada Muslim Community Center, 1855 Oddie Blvd. in Sparks. To talk about the event and its inspiration, we asked “What Can I Do” founder Jackie Shelton, Estipona Group’s VP of PR, to talk about what participants can expect. Talk about the roots of this event — what inspired it? Jackie Shelton, flanked by 300 people learning about 30 community non-profits at the first What Can I Do? event. 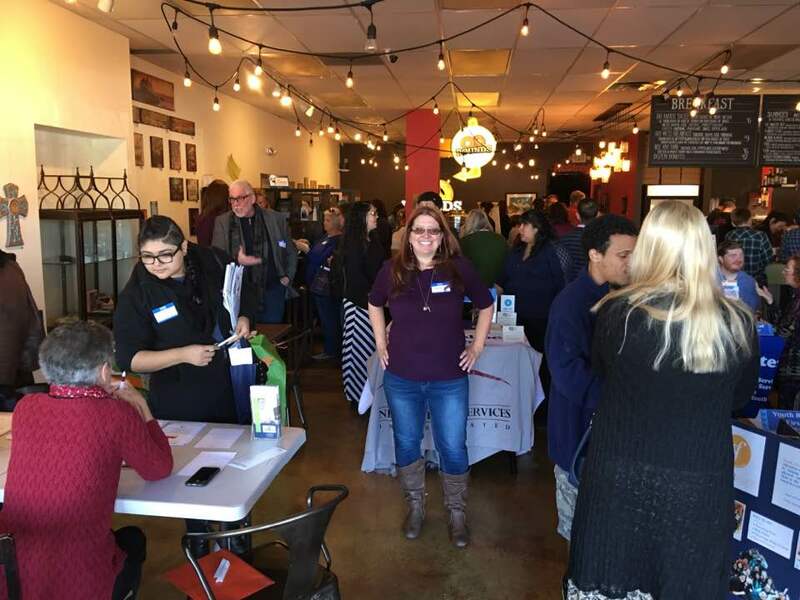 We initially started the “What Can I Do?” events after last year’s election, when we saw a huge upsurge in people interested in helping the community. So we began these speed-dating style mixers to let people know what they can do to help — either through money or time. The idea behind “What Can I Do?” is that people can get to know non-profit community groups on a personal level and ask questions in person. For this specific event, which focuses on diversity, this is a chance for those interested to talk to individuals who are different from them. I was talking to a young trans man at the time when they were having “Meet a Muslim” events in other parts of the country. He joked that we should have a “Meet a Trans” day. We thought “why not do this all at once?” So I talked to Carina from the Northern Nevada International Center and Sherif from the Northern Nevada Muslim Community Center, and we decided it was time to bring everyone together in one room to ask questions and get to know one another better. My goal is that if you attend, you will meet someone on a personal level who is different from you – someone you might not meet in your daily life; someone of a different religion, sexual orientation, culture or socioeconomic group – and ask questions. Because we all have a ton in common, but it’s too easy to lump people into categories as groups rather than to know them as individuals. I hope we all spend this time celebrating what makes us different while recognizing what we have in common. And at the same time, attendees will get to talk to community groups to find out how they can get involved. This event is open to anyone who wants to come and learn about people different from them – it’ll be great for kids. This will be such a nice opportunity to talk to people and learn directly from them. We’ll have Syrian refugees there, for example — so you can actually talk to these families — as well as people who are Muslim, Buddhist, Hindu, Jewish, different sexual orientations, people with disabilities and more. Even though this is a three-hour event, you can stay as long as want – 20 minutes or the whole time; of course, the non-profits will be there for the duration. And if you know of a community organization that addresses race, religion, culture, gender, disability, socioeconomics or age, and you think they would like to have a table at this event, please contact me at jackie@jackieshelton.com. There is no charge. What do you want people to know about this event? We’re all human beings. We all have more in common than differences. So here’s your chance to get to know people from different groups on a very human level. This is about humanity, in all of its diverse glory. Also, keep in mind we’re doing these types of events on a regular basis – you can go to our event page for updates.